I was looking at gift tags at the store. I don’t know….they just all seem so boring and plain. Plain fonts, boring designs. Nothing trendy, cute, pretty. The colors are blah and they just don’t have any STYLE to them. The ones that ARE cute, are expensive! $5 for a set of 3. A little urked at the price and the creative in me, knew I could do better. 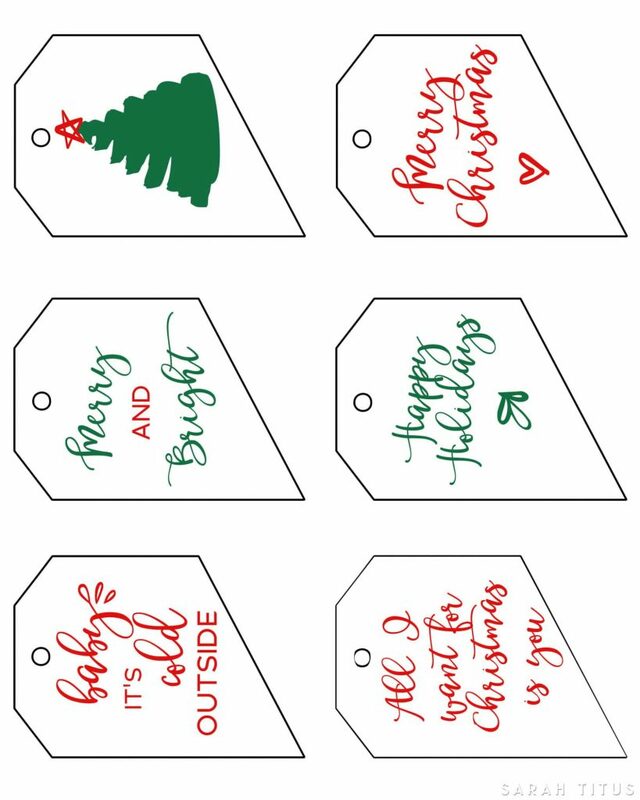 If I spend an hour designing some cool free printable Christmas gift tags, I can have them for years to come AND offer YOU guys something cool and trendy too! Something UNIQUE and DIFFERENT to put on your gifts, because giving gifts is all about presentation! 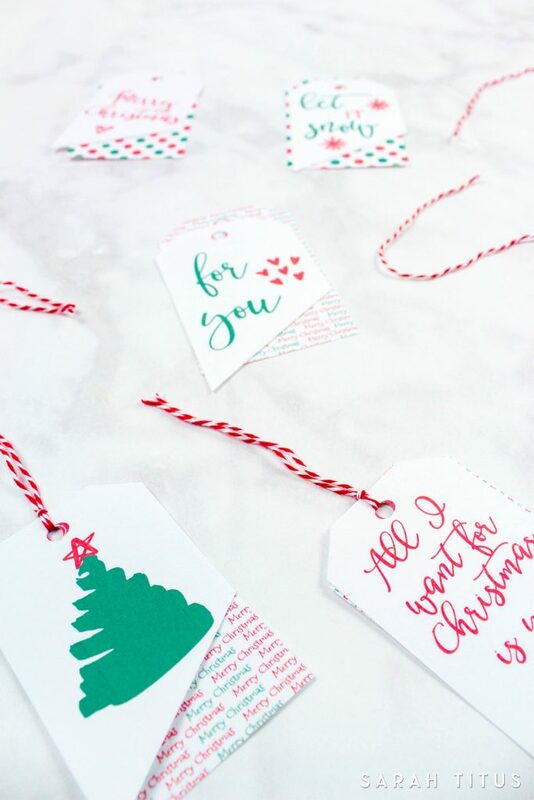 With these free printable Christmas gift tags, your gift receiver will definitely feel special and really, it’s as simple and printing and cutting. That’s it. 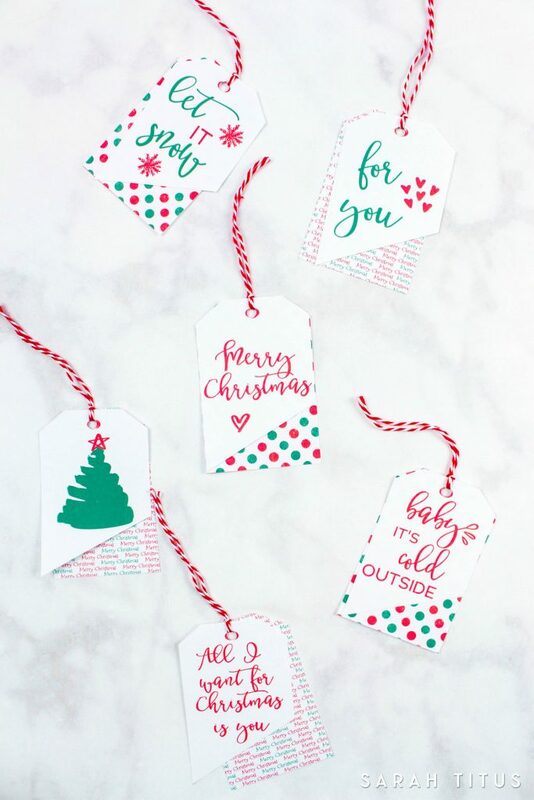 You’ll love these tags! 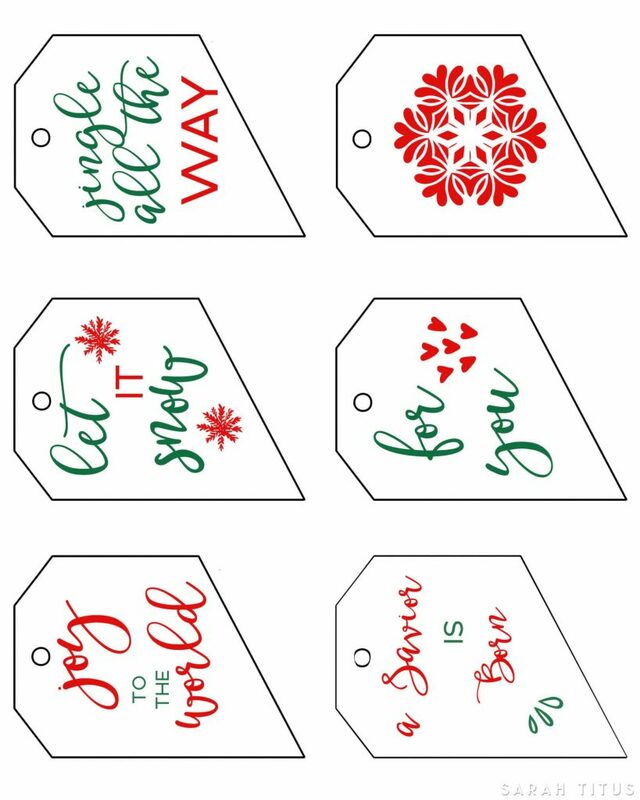 Not only will they save you money, but they will make your gift receiver feel really special too! 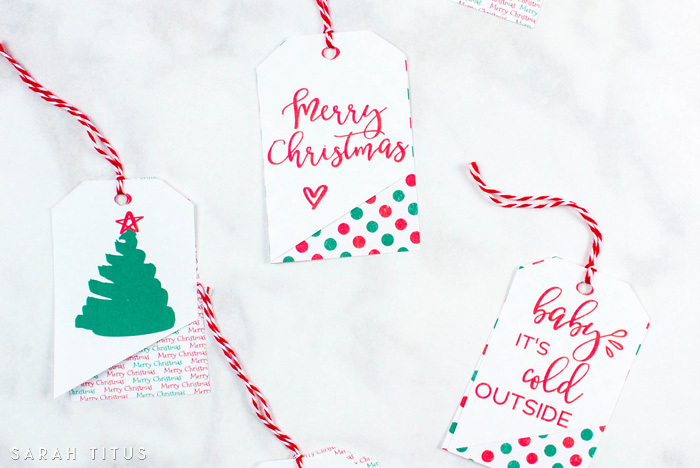 I am so happy you are getting these free printable Christmas gift tags. There are 12 different designs for you to chose from and make for your presents. 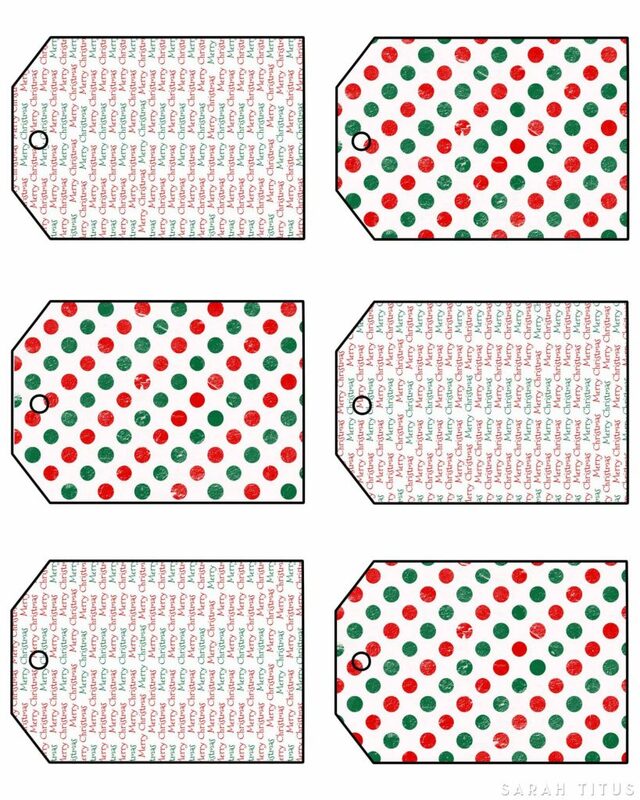 Step 1: Print them – the first two are the top layers of the gift tags and the third is the bottom layer of your gift tags. 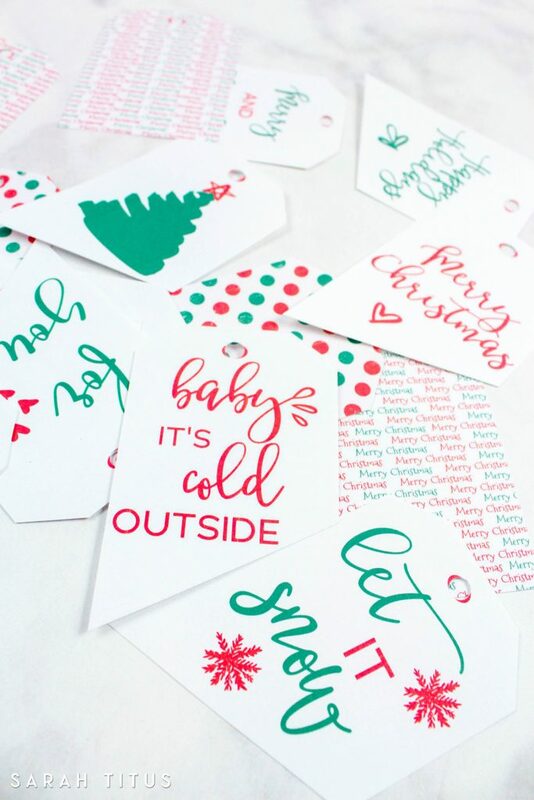 Step 2: Cut the gift tags out. I used a combination of a paper cutter and scissors. Step 3: Hole punch where indicated. Step 5: Wala! You’re done! Add them to any gift, either wrapped or unwrapped. Love all things Christmas? 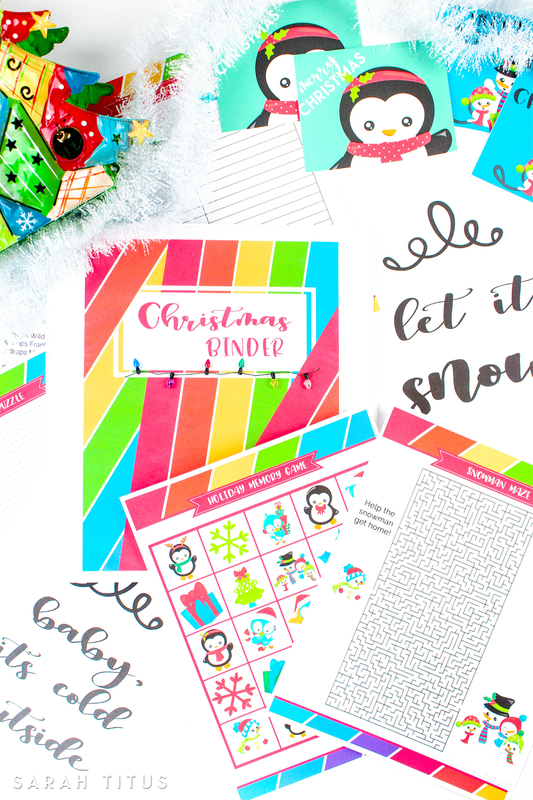 Then you will NOT want to miss your chance to get the new 80+ page Christmas Binder. 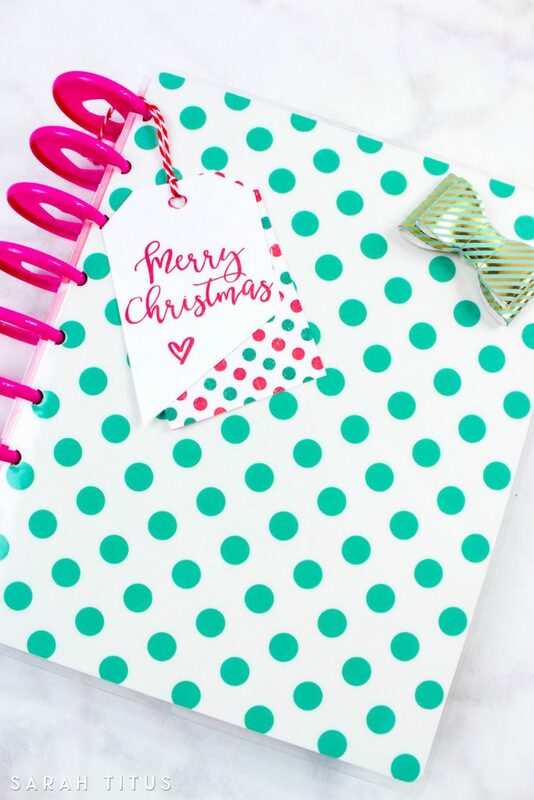 It’ll make you entire holiday season super organized and easy. Take the stress out of Christmas now! Thank you so much for the tags. My 5 year old Granddaughter is coming over and we can put these together so she can put them on presents.